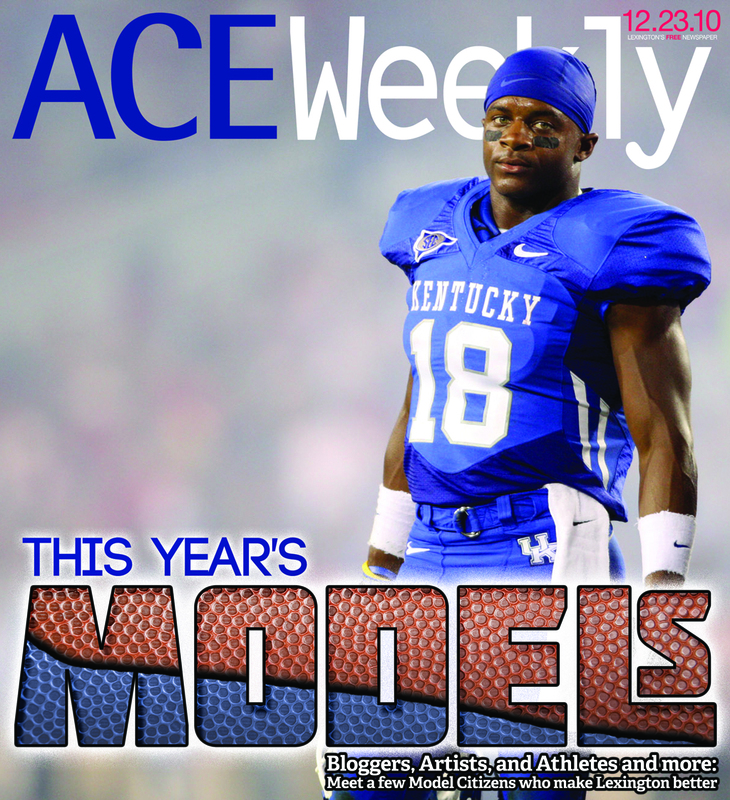 The December 23 isue of Ace is hitting stands now, featuring This Year’s Models, Randall Cobb; Kentucky Sports Radio’s Matt Jones; Barefoot and Progressive’s Joe Sonka; UK’s first sustainability coordinator Shane Tedder; artist John Lackey and more. In this issue, you’ll find This Year’s Models. 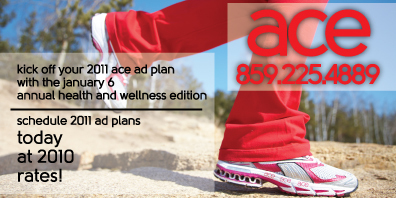 Every year, Ace celebrates “This Year’s Models” with a special year-end Annual Edition. All year long, the readers nominate Lexingtonians who have made a difference in making Lexington a better place to live. This year’s class includes an artist bent on revitalization, an athlete, a couple very different bloggers, “post-doo wop” moguls, and a bike-ridin’ cowboy. On page 12, Raj Ranade reviews movies currently in theatres. Check out his thoughts on True Grit and Black Swan. And on page 13, Chef Tom takes a trip to The Children’s Table. Pick up an Ace now, on stands everywhere. Schedule 2011 advertising insertions, in print, and on the blog, now at 859.225.4889 x235. Click here for today’s advertiser Sponsored Link: OnDuty USA is a Paris, KY based company. Check out their R&R pack, Nature Packs, and Highway Safety Packs for the Ace Reader on your stocking stuffer list.